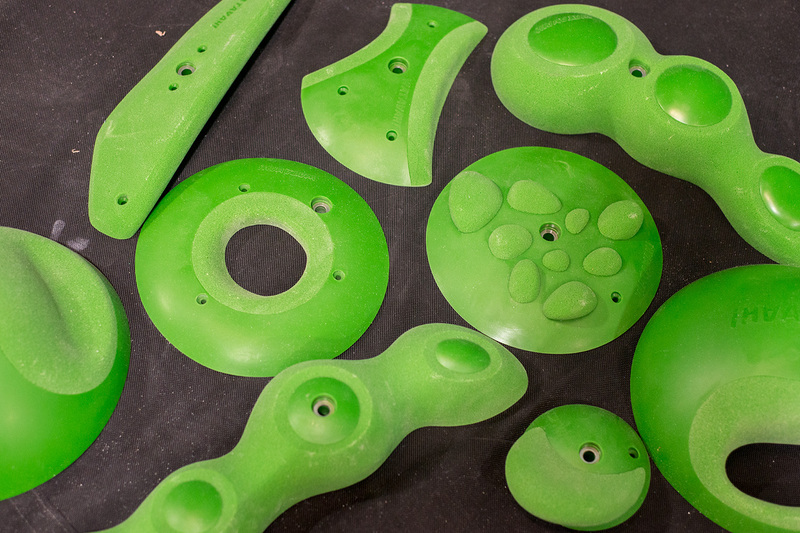 Double textures and ‘zero grip’ holds are sure to throw climbers a new challenge. The Minneapolis Bouldering Project claims to be among the first U.S. gyms to use these quirky holds. Watching an indoor climbing gym release new routes to the public, regardless of the gym, is like watching a pack of lions descend on a freshly killed antelope. It’s primal, sometimes bloody, and there’s a whole lot of grunting. So we expect to see some electrifying excitement when an entirely new gym, the Minneapolis Bouldering Project, opens mid-November. 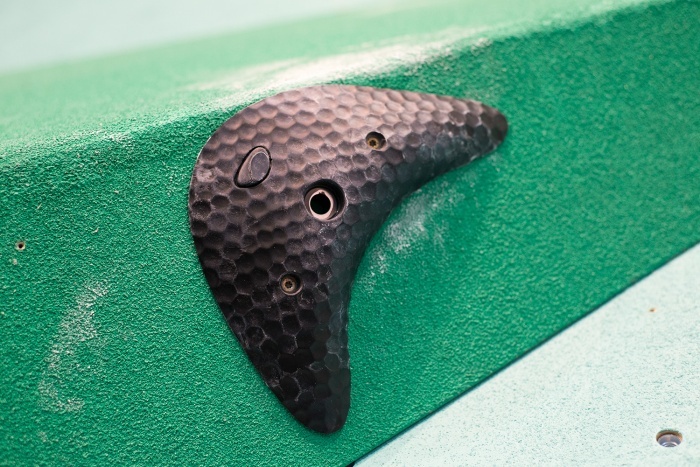 In the 20,100 square feet of new climbing surface, climbers will find new holds unlike any others. The gym claims to be among the very first climbing gyms across the U.S. to use Wataaah climbing holds. They offer unique “no grip” polished surfaces, double textures, and some funky shapes. Wataaah is based in Germany. Its holds are fairly common in gyms in Europe and the rest of the world, but this is an early entrance into the U.S. market. Climbers will need to change their style and tactics to get to the top of these routes. 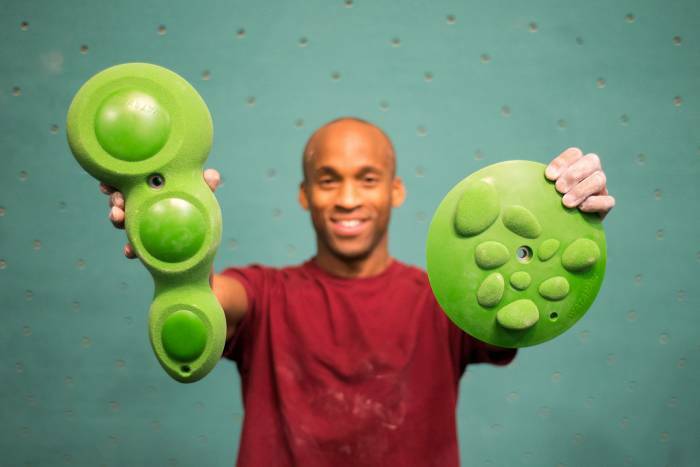 Holds with what Wataaah calls “Double Texture” are sure to confuse climbers. On certain areas of the hold is the expected grippy feel, but other parts are smooth as glass. According to Wataaah, holds with “Double Texture” are sure to “screw” with defined movement. Wataaah’s “Emanuela” holds have zero grippy texture. Gripping down on these requires extreme precision to hold the slick surface, and feet will need to be confident. Otherwise, climbers are sure to slip off. In addition to unique textures, Wataaah employs renewable manufacturing processes. Dubbed “W-ECO PU,” the holds use 30 percent recycled material in construction and are fully recyclable while maintaining durability. According to the brand, the proprietary eco-friendly material is unlike the industry’s standard material and different than what is on the market. 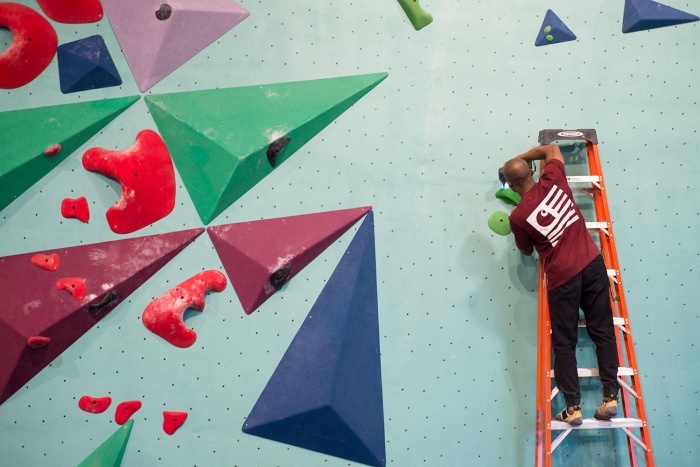 The Minneapolis Bouldering Project is using Wataaah holds, in addition to other domestic and international brands, across 20,100 square feet of climbing surface. More than a dozen routesetters from around the world will fly in to create the space, with instructions to set up fun, complex, and visually appealing problems. 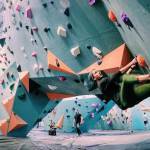 The gym is sure to appease climbers of all abilities. Touring the gym this past week, I noticed the routes are spread out and utilize custom-made volumes. Put simply: The gym is beautiful. The Minneapolis Bouldering Project’s massive space also houses free weights, a dedicated yoga studio, and saunas. Learn more about the Minneapolis Bouldering Project or Wataaah holds now.